After successfully setting up company in Vietnam, one of the key issues that every entreprener must be aware about is the accounting system of the company as it is impossible to operate in Vietnam if the company does not have Chief Accountant, or Accounting Service Provider. 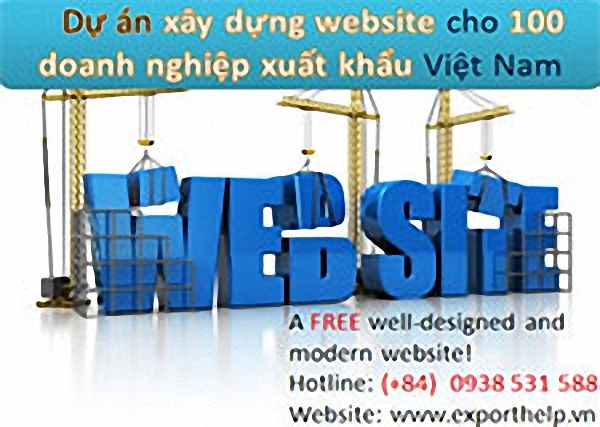 With the ambition to provide our clients with one-stop service, ExportHelp Asia not only offers company formation service but also assist clients in all their ways of doing business in Vietnam, and our Tax & Accounting service is one of our support services for Clients. The article below by ExportHelp Asia will provide you of our Tax & Accounting service in Vietnam as well as give you some highlights on our scope of service. In recent years, along with the development of Vietnam economy, accounting standards and policies systems have been changing dramatically in accordance with international standards and practices. However, the workload of preparing financial report and tax report usually costs a lot of time and resources of the enterprises. Especially for a new setting up company which is not willing to pay time and expenses for recruiting an experienced and skilled accountant. As the result, outsourcing to accounting service provider for all accounting and taxing service is the most effective and economic solution for the enterprises. With an experienced accounting team which is providing accounting service for a lot of companies including both 100% foreign owned companies and local companies, ExportHelp Asia and our partners commit to provide the best quality service to Clients to help Clients with cost effective control, and tax compliance. At the moment, we do have two different packages for accounting and tax services. - Procedures for registering invoices, print invoices and consultant sign up digital signatures for tax declaration electronically. - Use of accounting software to the accounting standards of the Ministry of finance regulations. - Create and print accounting, the accounting voucher in accordance with the form prescribed by the Ministry of finance. - Perfect the VAT refund documents. - Business support records bank loans. - Stand titles accounting business. - Explanation of metrics, providing material for the tax authorities upon finalization. - Registration code of personal income tax for the employees. - Prepare and submit reports of tax authorities correct the allotted time: month, quarter, year, corporate income tax. • Report on the use of value-added invoices and other vouchers. • Financial reporting and corporate income tax and personal income tax every year. • The tax article subjects (if there is a change in the capital, branch, location of business). This accounting services package will provide Clients with many advantages such as cost savings, accounting information reported accurate, timely. We_ExportHelp Asia is a team of experienced employees in accounting, work devotion and always eager to offer the best thing for the customer and will meet your needs. - Tax authorities fined and fixing the tax when the tax authorities exercise control. - Do not have the right information to make a decision accordingly. - Receiving records: invoices, vouchers, accounting books out there (if any) of the business. - Review the reasonableness, of valid invoices are provided. - Redo the accounting books quickly and accurately. - The report identifies the issues outstanding flaws in invoices and how to handle their business. - In the accounting books, accounting documents as required. - Explanation, demonstration of tax with the tax authorities. ExportHelp Asia will help clients in the completion of bookkeeping again before the present time, remedial about the books. Our easy troubleshooting was all the difficulties of accounting records of customers in a short time, sufficient to ensure complete data provided to the tax authorities when inspection and timely submission of financial reports dating back to the end of the current accounting year. We are looking forward to opportunities to partner with you as well as your company. Please give us a call or an email for advice on any matters related to accounting.